Samsung Push Service is an app that sends brand-specific notifications to your phone. It might already exist on your phone, and if it doesn’t, you can download it from the Google Play Store and start using it right away. Why Might You Want This App? If you use several Samsung apps, you might be happy to know that Samsung Push Service gives notifications for all of them. When an app in the Samsung family has new information, you’ll see it through the Samsung Push Service. As a result, this app can be an easy way to stay in the loop about all things Samsung. A push message is a notification that pops up on your screen even when you’re not using an app. Samsung push messages come up on your device in several ways. They display in your phone’s notification bar, show application icons at the top of the screen and generate text-based notification messages. You can specify the kinds of notifications you see by adjusting the Samsung Push Service settings within the Apps section of your phone. Chances are you'll only be able to find the app on your phone if you go into Show system apps first and look for Samsung Push Service there. Select "Show system apps" to find Samsung Push Service on your device. 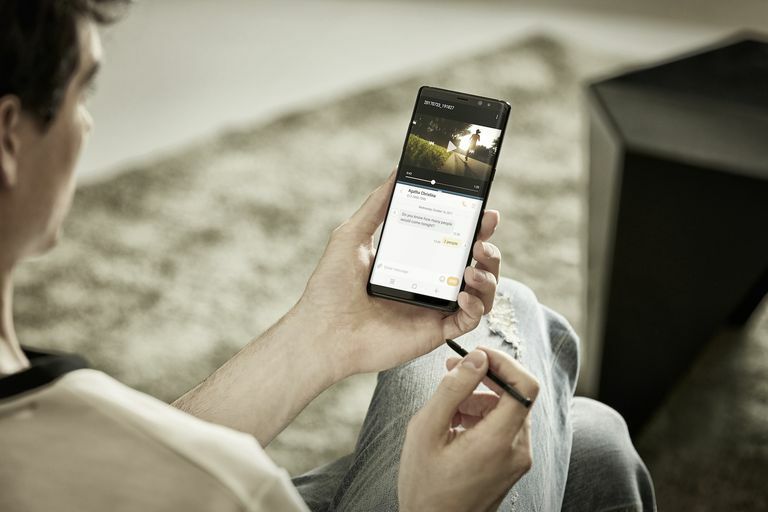 If you’re thinking about buying a new phone, you’ll want to know that Samsung is the brand behind some of this year’s most anticipated phones. However, some people aren’t happy the Push Service app is factory-installed on many of them. Unnecessary apps are particularly frustrating when phones lack internal space, making users do everything they can to delete items they don’t need. There are also reports that the Samsung Push Service sends advertisements to the gadgets, but there’s nothing in the official description of the app that presents ads as a possibility. Avast included it in a 2017 report about Android phone apps and mentioned explicitly that Samsung Push Service depletes resources by draining the battery. Users also say they continuously get notifications to update the app, and that those reminders annoy them. Turn off all notifications by going to Settings, then choosing Apps, Show system apps and Samsung Push Service. Tap Notifications, and slide the toggle switch next to the ON setting to turn all notifications OFF. In App Notifications, toggle the ON switch to OFF. Otherwise, tap on the Samsung Push Service entry in the app list again, then press either the Disable or Force Stop buttons at the top. You can use the Force Stop option in the app's info settings to disable Samsung Push Service. If you solely use the internet on your phone by relying on its data instead of a Wi-Fi connection, you can disable Samsung Push Service so that it won’t run unless you’re on Wi-Fi. Tap Settings, then choose Connections, then Data Usage. Click on the Mobile data usage, and scroll down to the Samsung Push Service app and select it. Finally, toggle the switch off for the setting Allow background data usage. Disable the setting to "Allow background data usage". If you’re sure you want to do away with Samsung Push Service for good, you should know that deleting it involves downloading a third-party app. ROM Toolbox Lite is one option people use to remove it from rooted phones. Samsung Push Service is bundled within the Samsung Apps application. So, if your phone asks you to update Samsung Apps, it’ll reinstall Samsung Push Service without your knowledge. Then, you’ll need to go through the steps above again. What is Google Assistant and How Can You Use It?